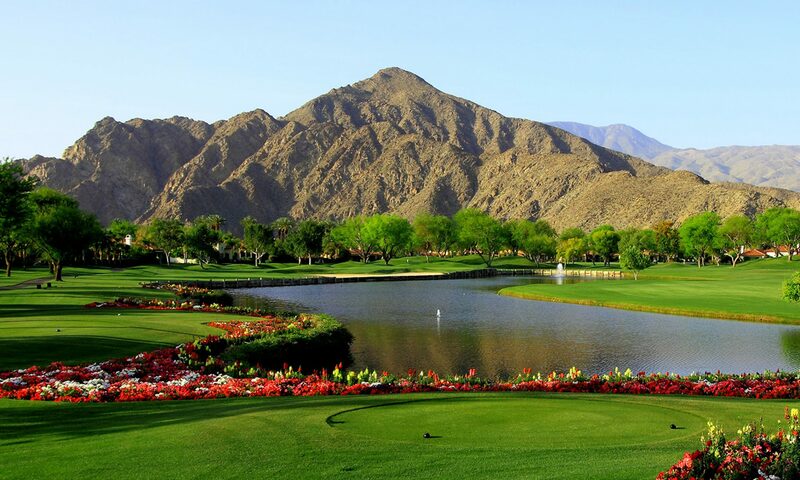 One of the best kept secrets in the Palm Desert area is Marrakesh Country Club. This golf course community was developed by Johnny Dawson who also developed Thunderbird Country Club and Eldorado Country Club. The 18 hole golf course is surrounded by 364 homes. Home ownership at this lovely club includes a full golf and social membership with unlimited golf, tennis, a state-of-the-art fitness center, access to 14 swimming pools and spas, and a beautiful clubhouse with fine dining. The price of these homes in this special community will totally surprise you! The land was leased land until last year. Now the homeowners own their land, which is a little known fact in the Desert. As soon as more learn this fact, these prices will not be where they are today! This is an amazing opportunity to live in a gorgeous home in a special community, for such a reasonable price. Actually, there are many Marrakesh homeowners that used to live in The Vintage for 4 times the price—and then they discovered Marrakesh just across the street! Below is a link to a home that we have recently listed in Marrakesh. Call us today to come see for yourself. Elevated, South Facing Mountain and Golf Course Views. Watch the virtual tour below of 50550 Mandarina in the Citrus Club, La Quinta. Hot Summer & Low Inventory = Sales & Prices Rising! Who would have thought that during these hot (115 degrees +) summer days we would still be having sales in the Desert? But that is exactly what is happening. The inventory has never been lower, so buyers are still coming out to find their Desert home while there might still be one available. And if one goes on the market now, it is being sold quickly. In addition, the prices are starting to come up due to this high demand and low inventory, and unfortunately, we are starting to see an upward change in the interest rates as well. One of the reasons for this rate increase is the fact that there has been speculation that the Fed may begin to taper its Bond purchase program known as Quantitative Easing. That is the Fed’s Bond purchase program that has helped Bonds and home loan rates remain attractive. Currently the interest rates are still historically low in the 4% range, but the fact that they have begun to rise, and could continue to go higher, is a concern to potential buyers. For all these reasons, it appears that now is a great time to grim and bear it—–come to the Desert even though the temperatures are not totally comfortable, and find that Desert Home you have been looking for while it is still available and affordable! 79482 Cetrino, La Quinta at the Citrus Club. 81220 Golf View Drive, La Quinta at PGA West. 79615 Mandarina, in the Citrus Club in La Quinta, Ca. Priced at $489,000. Watch the Video to understand why this is such a tremendous deal. An EXCELLENT condo at an even better value. Check out the video! HK Lane’s “President’s Weekend Open House Extravaganza” is coming to the Citrus on Saturday, February, 19 when Gallaudet Properties will have 10 of their Citrus listings open for review between 1:00 and 4:00pm. The smoking deal you’ve asked for, now where are you? Everybody wants the smoking deal AFTER it’s gone. It’s ALWAYS the case. We just put a home into escrow and got 3 calls immediately afterward. Two of these callers were ready to submit an offer. I’m not sure why this happens… maybe Murphy’s law, or maybe because people want something that they can’t have. Anyway, here’s the latest smoking deal that just fell out of escrow. And this isn’t just a “deal”, this is a stupid-rock-bottom-oh-my-gosh-how-good-can-you-get kind of deal. * 3909 sqft custom home in the Citrus. * HOA Dues only $243/month for a private, golf course community. * Detached 2 room Casita (and 3 bedrooms in main house). * Front loaded private courtyard with custom pool and spa. There are MULTIPLE comps that have sold across the street from this property within the past 6 months for over $250/sqft. The purchase price of these similar sized homes was $1,000,000 and $1,050,000. They both needed A LOT of work – much more work than this property needs. And this home does have the modern upgrades that most buyers look for like granite countertops, high ceilings and french doors that open up on both sides of the house. The problem with this home is that it doesn’t show well. Its structure is very sound, but the interior is all white, the furniture and draperies need updating as do the hardware (like ceiling fans, door knobs and faucets). The toughest thing for me to get over, as the agent, is that this stuff is all so minimal when you compare it to the normal “fixer” property, which everybody says they’re looking for! The normal fixer typically needs structural improvements and major rehab work. Just adding darker color paint would improve this baby by leaps and bounds. Even though it’s a shortsale, the owner has still maintained the interior and exterior of the property including the pool and spa. And if you’re still not convinced, here’s the last fact: When the owner built this home in 1997, he spent over $800,000 in building cost alone (not counting the cost of the land). The price is now $725,000 for everything! And no, this is not an indication that prices are back to 1994… They are only in this case. Here’s a link to the listing. We have an exceptional single family attached home in the Citrus priced to sell quickly at only $615,000. This 2,439 sqft home with 3 bedrooms and 3 baths has a private front courtyard with fountain and a great south facing rear patio overlooking the 9th fairway, the practice range and the 1st fairway before the beautiful Santa Rosa mountains. The interior is beautifully decorated with a southwestern flair. This home has been beautifully upgraded and won’t be on the market long. The owners are purchasing another home in the Citrus and are motivated! Please call us for a private showing! Click here to see the listing and pictures.